Rose hedgehog full look. Rose's outfit in full view. Wallpaper and background images in the Sonic girl Fan characters club tagged: girl hedgehog the rose. 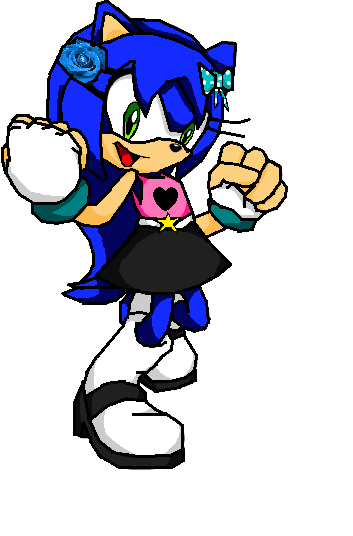 This Sonic girl Fan characters photo might contain anime, comic, manga, cartoon, comic buch, karikatur, and comics. can I have this one?? ?